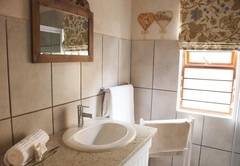 Casa Montanja is a guest house with self catering option, providing accommodation in Nelspruit for tourists visiting the Lowveld Legogote region. 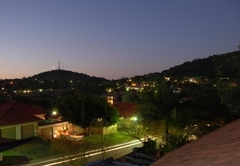 Casa Montanja is a well established guesthouse, situated in a peaceful suburb close to Nelspruit’s CBD and the N4 highway. 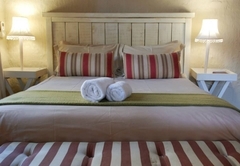 Come and experience our luxurious yet homely accommodation, with self catering and bed and breakfast options. We are en-route to all the Lowveld and Mpumalanga attractions like the Kruger National Park, the Panorama route (Pilgrims Rest, Graskop, Sabie, Mac Mac falls, Blyderiver Canyon, Gods Window etc). 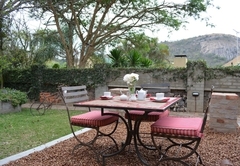 Nelspruit is also the perfect over night stop for the traveler going through the Malelane gateway to Mozambique. 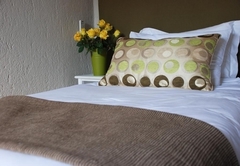 Our accommodation ranges from comfortable rooms through to a luxurious self catering house with en-suite bedrooms. 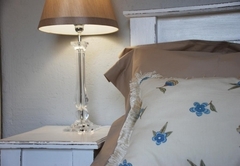 All rooms are stylishly decorated and have tastefully selected fabrics, furnishings and linen. 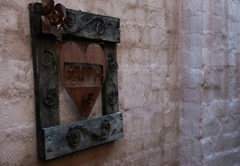 The rooms are set in different locations on the property and most have their own private entrance and patio. 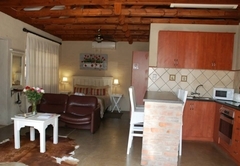 The self catering units can accommodate between two and six people. Our bed sizes range from twin beds to a king size. Please note that smoking in the rooms is forbidden. Enjoy either a continental or English breakfast. Dinner is available on request. 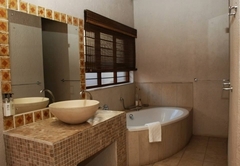 Casa Montanja Guesthouse offers you quality and is ideal for both the business traveler and holiday maker. 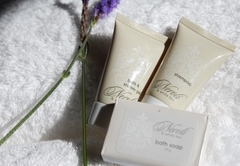 Our facilities are also ideal for families looking for spacious accommodation while exploring the Lowveld or doing shopping. 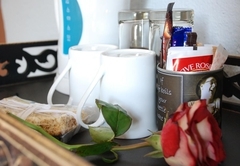 We will ensure we meet your requirements through our hospitality. • Telephone, Fax & Copy Service. 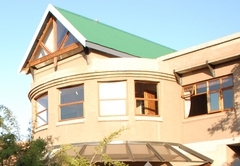 We are close to a small shopping centre and nature reserve, and conveniently situated to easily reach the Nelspruit private hospital, Riverside mall and Casino. Mpumalanga is known for its very hot summer weather and mild winters. Malaria precaution is recommended. Check with your local doctor to find out more. Luxury room with open plan kitchen, bunk beds and private patio. Room has en-suite private bathroom with shower only. 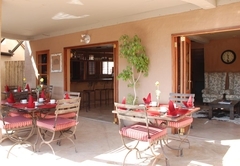 Flat screen TV, DSTV, air-con, coffee / tea facilities etc. 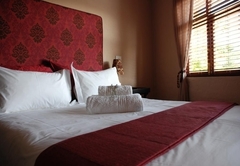 Luxury room with extra room with single bed, small kitchenette & dining table on patio. Room has en-suite private bathroom with bath & shower. 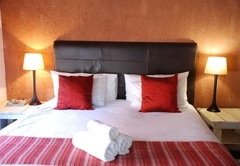 Flat screen TV, DSTV, air-con, coffee / tea facilities etc. Response timeCasa Montanja typically responds to requests in 5-10 minutes.